This Tuna Zoodle Casserole Recipe post is sponsored on behalf of Bumble Bee® Seafoods. All opinions are my own. 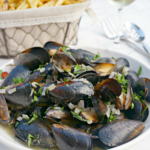 Craving comfort food but don’t want the guilt? 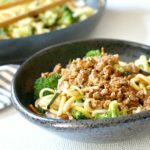 This Tuna Zoodle Casserole will do the job! 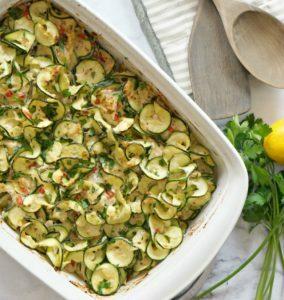 Loaded with healthy zucchini noodles and Bumble Bee® Solid White Albacore Tuna, this dinner comes together quickly and is both paleo and gluten-free. 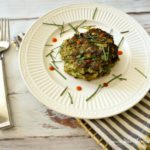 You’ll see if you peruse my blog for more than a few minutes… I don’t exclusively eat gluten-free or paleo foods. I just don’t have the will power to say no to cake or cheese. But, that doesn’t mean that I don’t enjoy many of the foods that suit those diets. That’s how it is with this Tuna Zoodle Casserole recipe. 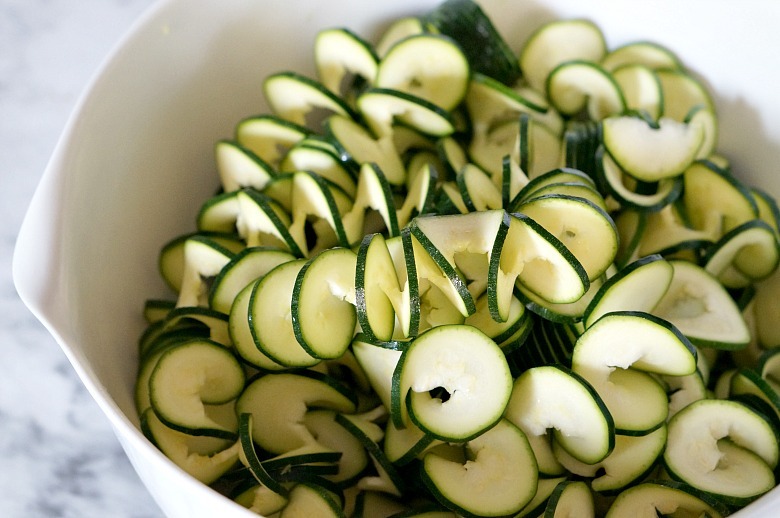 I freaking adore spiralized vegetable noodles and have no issue with substituting carb-heavy noodles and grains for zoodles. Especially when making a flavor-packed dish. Substituting thick-cut zoodles in this updated tuna noodle casserole is a no-brainer. 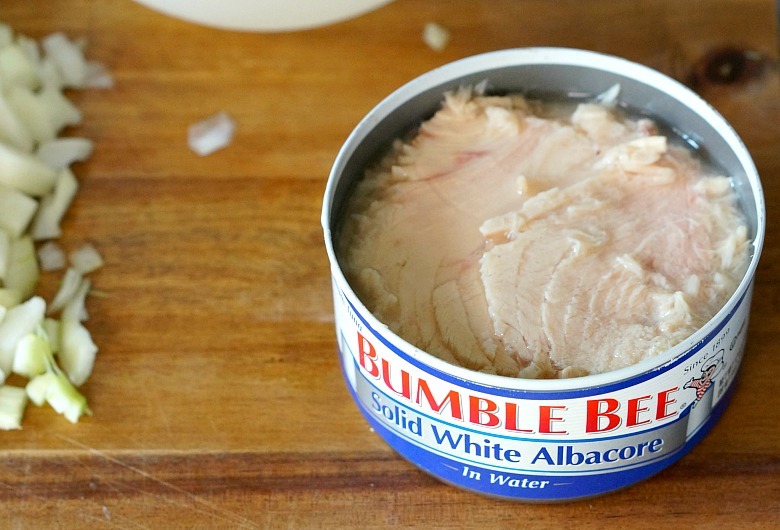 With quality Bumble Bee®Solid White Albacore Tuna, I’m adding a responsibly wild caught Albacore that is delicious, versatile, and high in protein*.​ It’s also Non GMO Project Verified. 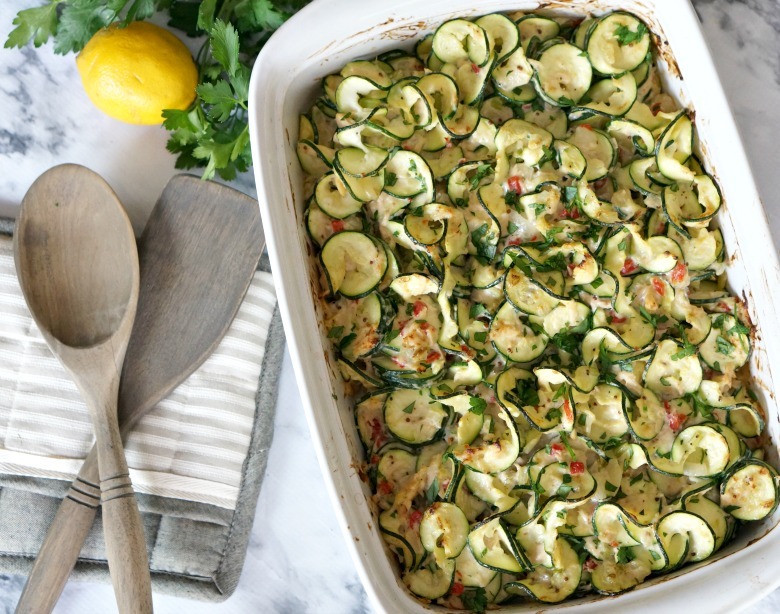 With avocado mayo, pimiento peppers, lemon zest, and whole grain mustard, this Tuna Zoodle Casserole will quickly become your go-to comfort food recipe. First up, it’s time to zoodle! I like using the thick blade for this one, as it helps ensure the zoodles don’t overcook, and they’re just really darn fun! Once you’ve zoodled up, it’s time to make the sauce. As I mentioned earlier, Bumble Bee® Solid White Albacore is the star of the show. I am NOT a fan of soupy tuna and this is the best I’ve found yet. Mix together the avocado mayo, pimientos, whole grain mustard, lemon zest, garlic, tuna and salt and pepper to taste. Also chop your celery and onion. Preheat a large skillet to medium high heat and add the olive oil. Saute the onion and celery until softened, about five minutes. Mix together the paleo flour and coconut milk. Pour into the skillet and stir until thickened slightly. Toss in the zoodles and stir to coat. Remove to a large bowl and stir in the tuna mixture. Pour into a greased 9×13 dish and bake at 350 degrees for 20 minutes, until the casserole is warmed through and begins to bubble. 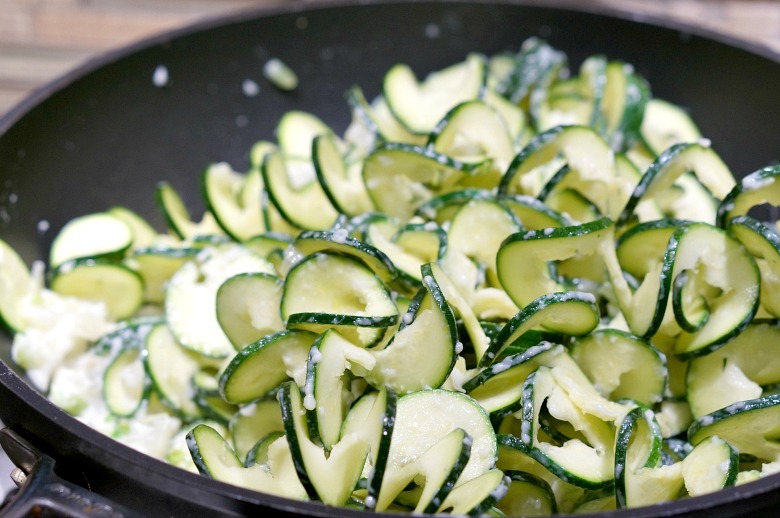 Turn on the broiler and cook an additional five minutes, until the top begins to get golden and the zucchini ribbons begin to crisp on the edges. Craving comfort food but don't want the guilt? 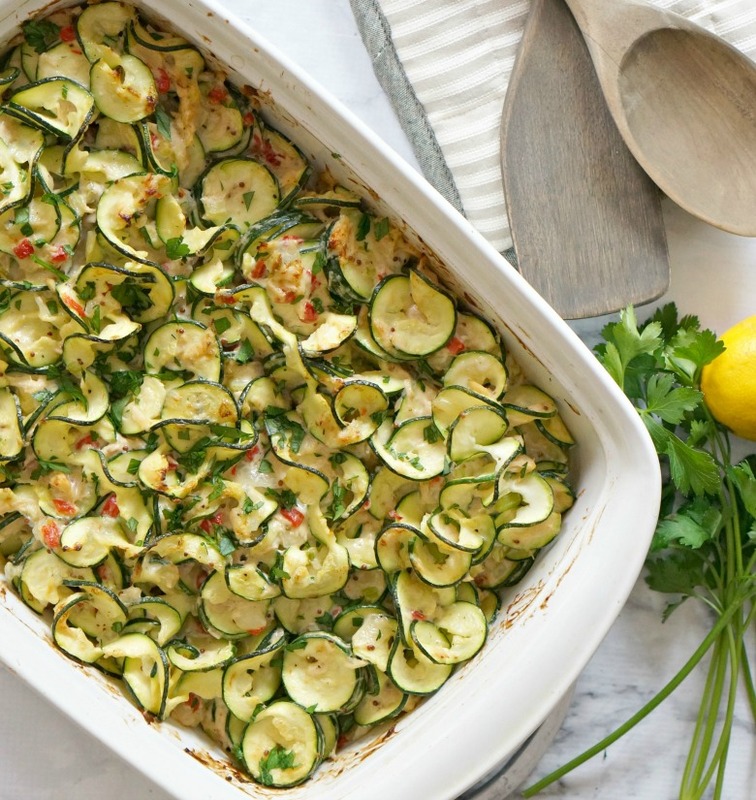 This Tuna Zoodle Casserole will do the job! 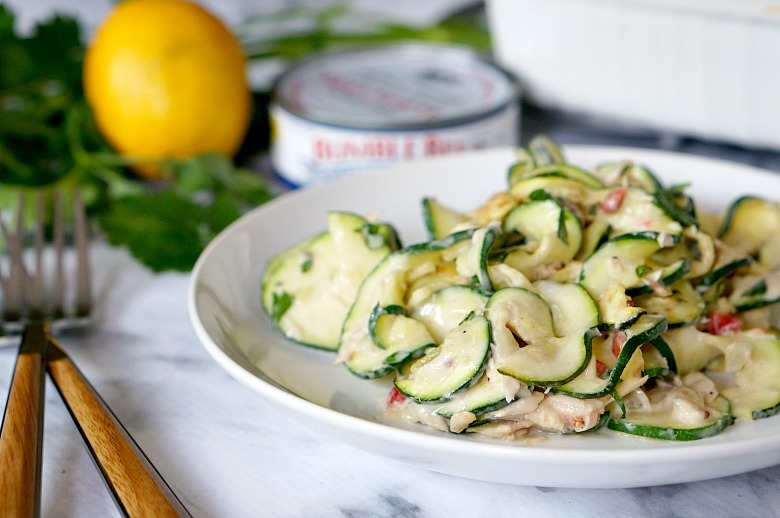 Loaded with healthy zucchini noodles and Bumble Bee® Solid White Albacore Tuna, this dinner comes together quickly and is both paleo and gluten-free. Preheat the oven to 350 degrees Fahrenheit and let's start zoodling! I like using the thick blade for this one, as it helps ensure the zoodles don't overcook, and they're just really darn fun! Now it's time to make the sauce. Mix together the avocado mayo, pimientos, whole grain mustard, lemon zest, garlic, tuna and salt and pepper to taste. Also chop your celery and onion. Preheat a large skillet to medium high heat and add the olive oil. Saute the onion and celery until softened, about five minutes. Mix together the paleo flour and coconut milk. Pour into the skillet and stir until thickened slightly. Toss in the zoodles and stir to coat. 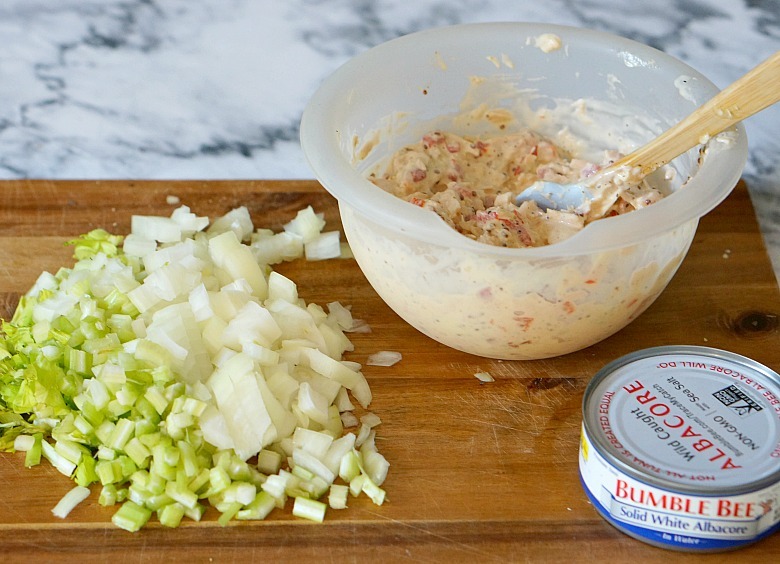 Remove to a large bowl and stir in the tuna mixture. Pour into a greased 9x13 dish and bake at 350 degrees for 20 minutes, until the casserole is warmed through and begins to bubble. 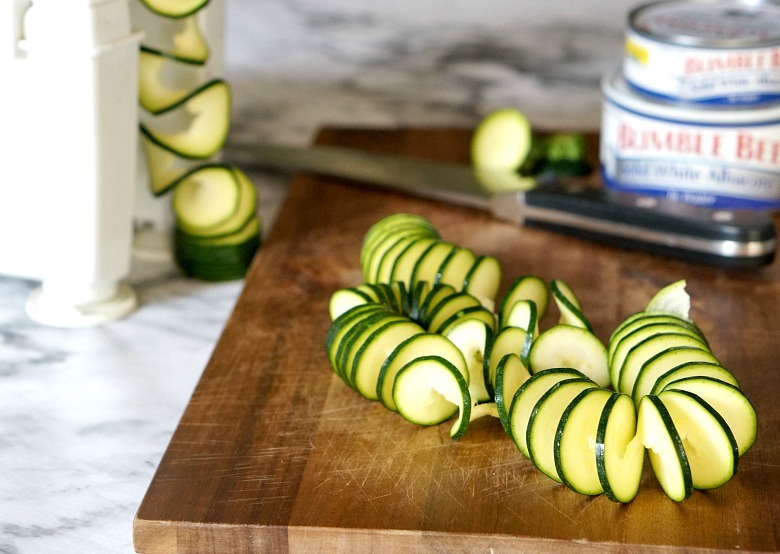 Turn on the broiler and cook an additional five minutes, until the top begins to get golden and the zucchini ribbons begin to crisp on the edges. 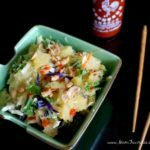 Get inspired recipes and learn more about Bumble Bee® Solid White Albacore Tuna and why “Only Bumble Bee® Albacore Will Do™” here!